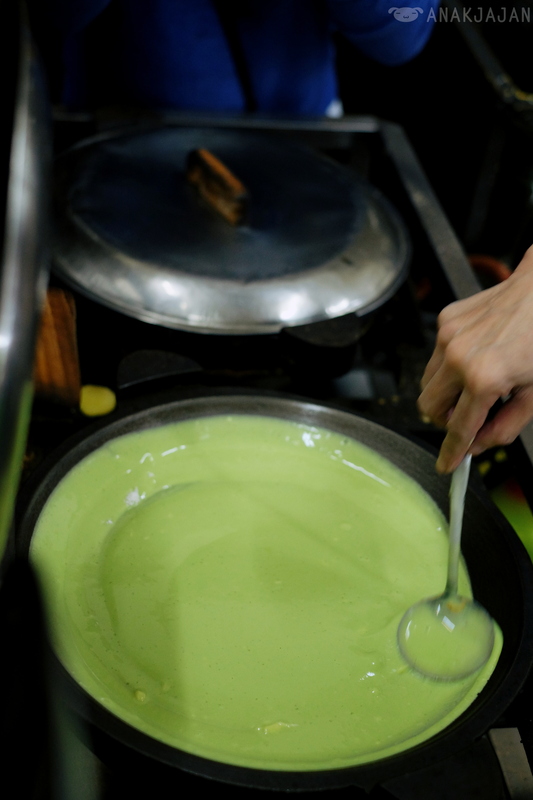 What’s your favorite street food at Bandung?? 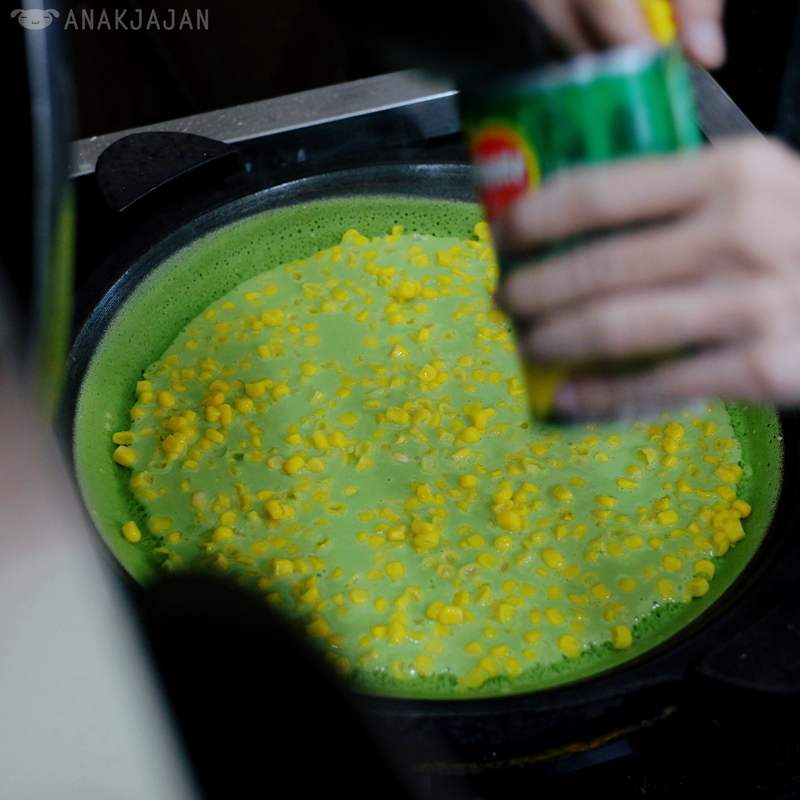 What kind of food that you always buy from Bandung for your relatives?? 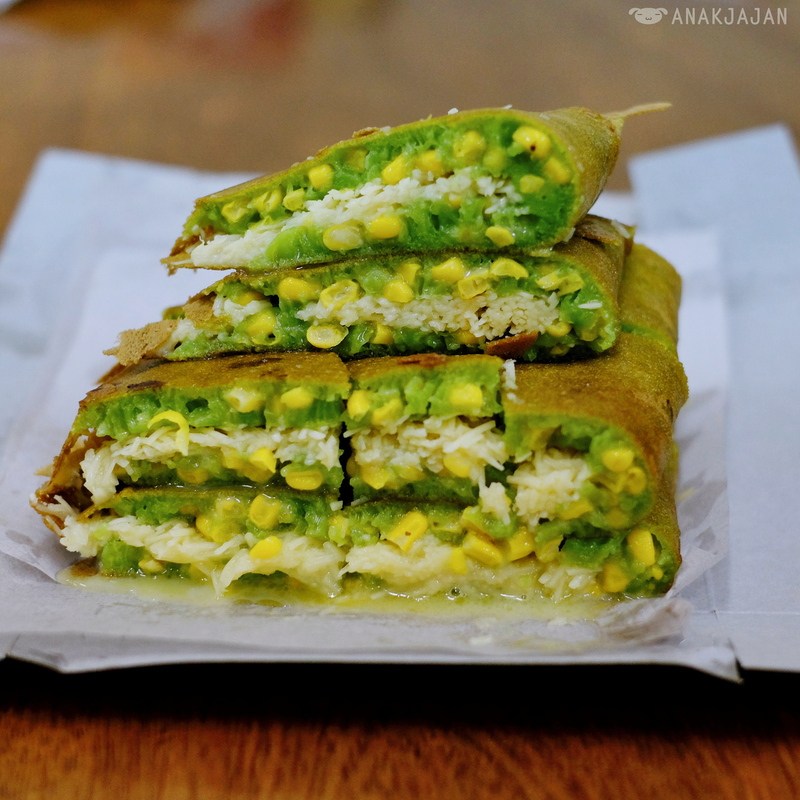 Well, AnakJajan have an awesome recommendation for you. 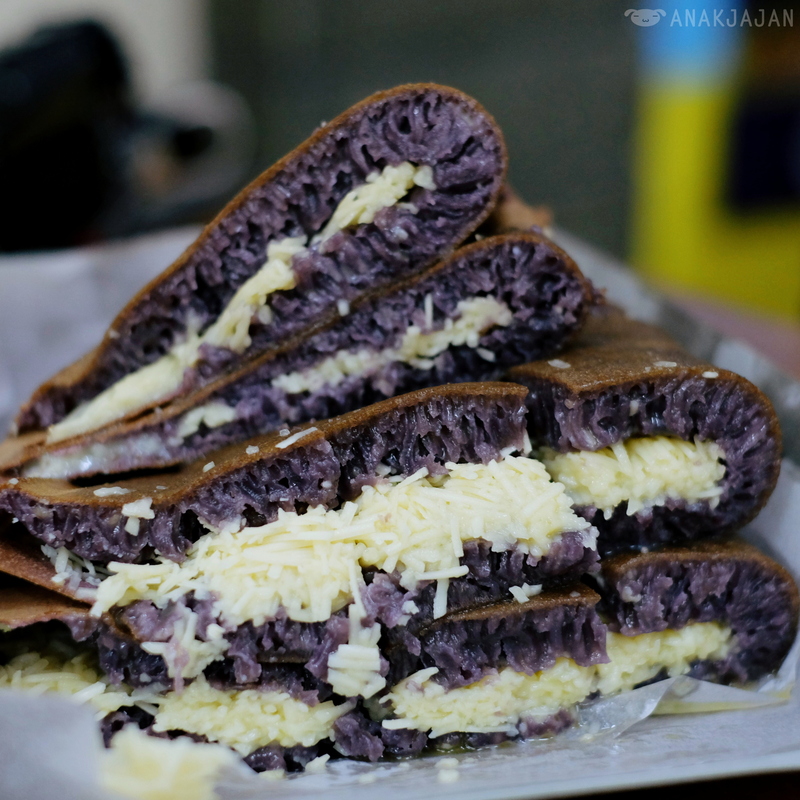 That is Martabak Nikmat Andir Bandung!! 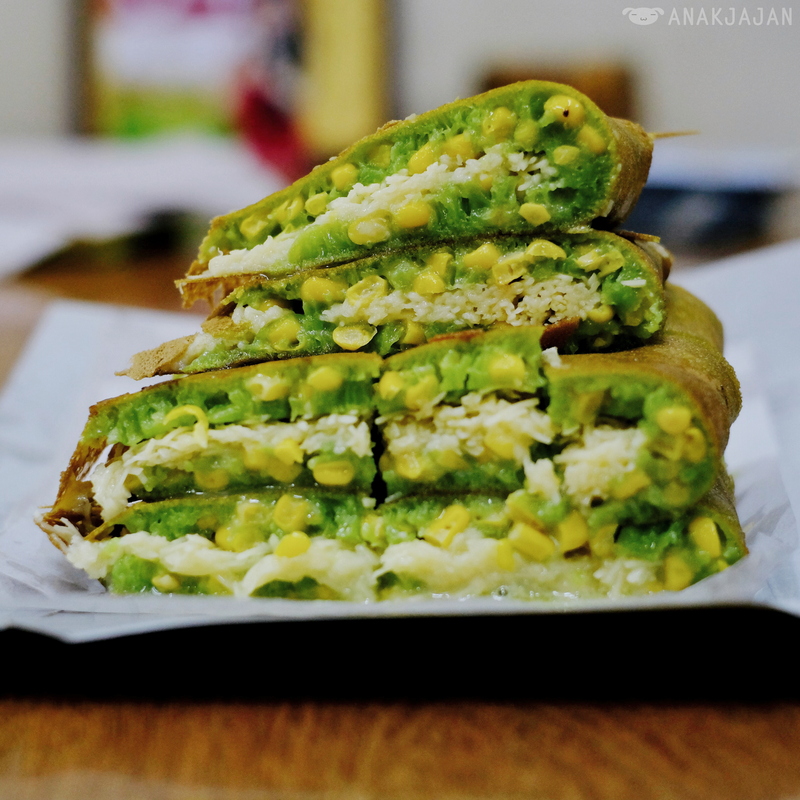 AnakJajan and foodie friends had an awesome staycation at Hilton Bandung last week (will share about it later) and we had the TASTIEST Martabak ever at Martabak Andir!! 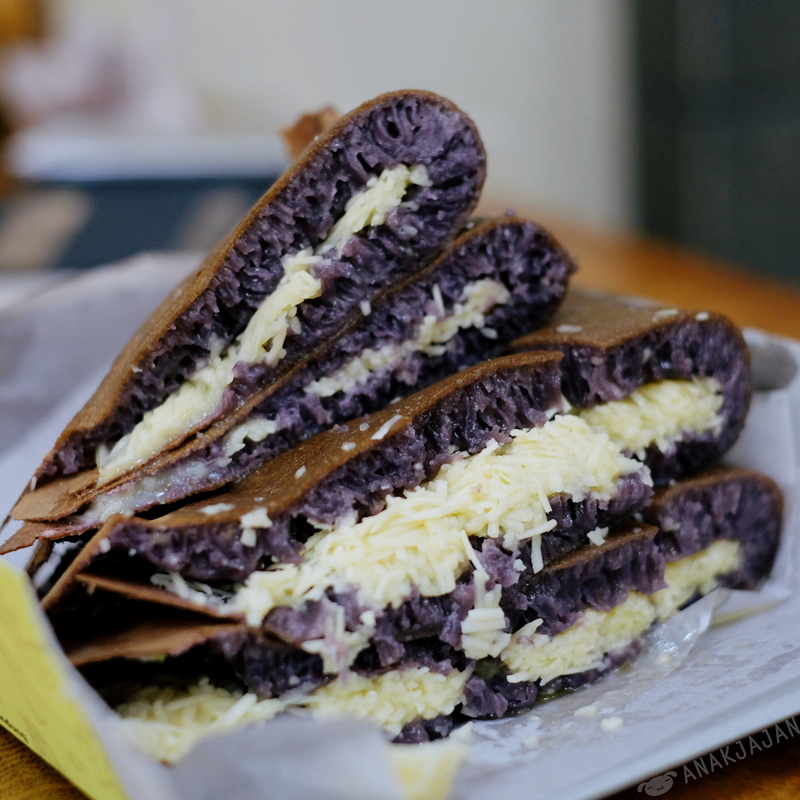 Martabak is Indonesian style sweet pancake with various filling just like cheese, peanut, chocolate. 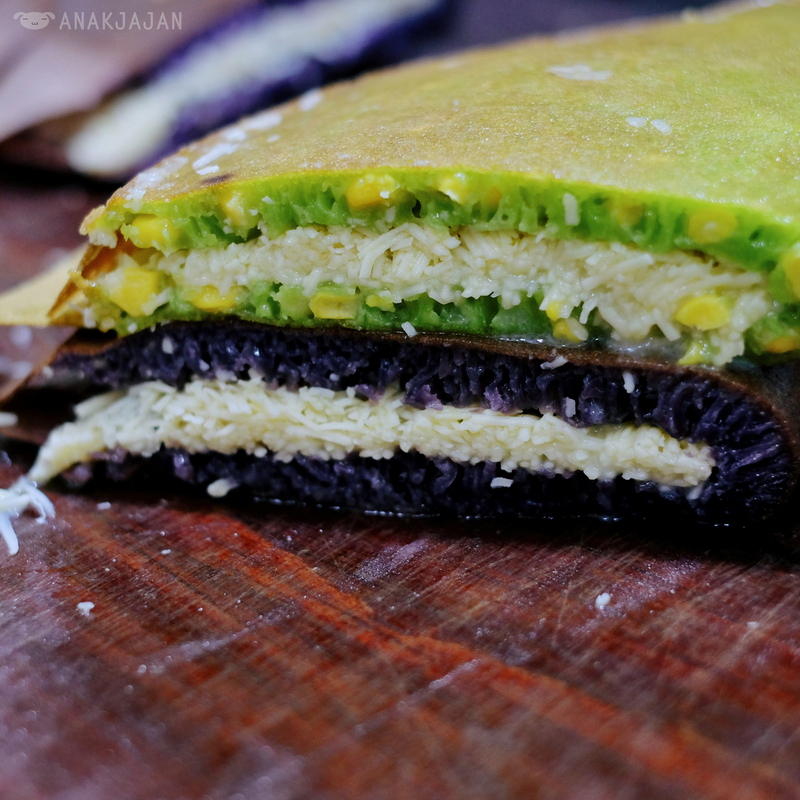 But recently Martabak itself has been evolving into the next level, first with new unique filling such as Nutella, Ovomaltine, etc then the batter itself now also available in innovative flavoring such as greentea, pandan, red velvet or taro. 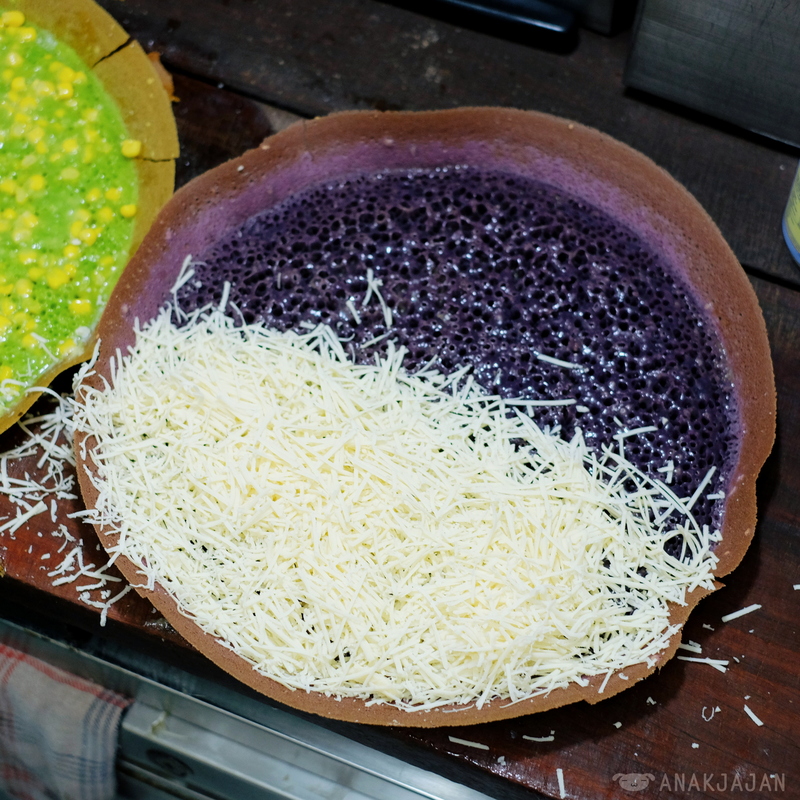 Here at Martabak Andir you can find various unique Martabak batter such as red for Red Velvet, purple for Taro or green for greentea / pandan. 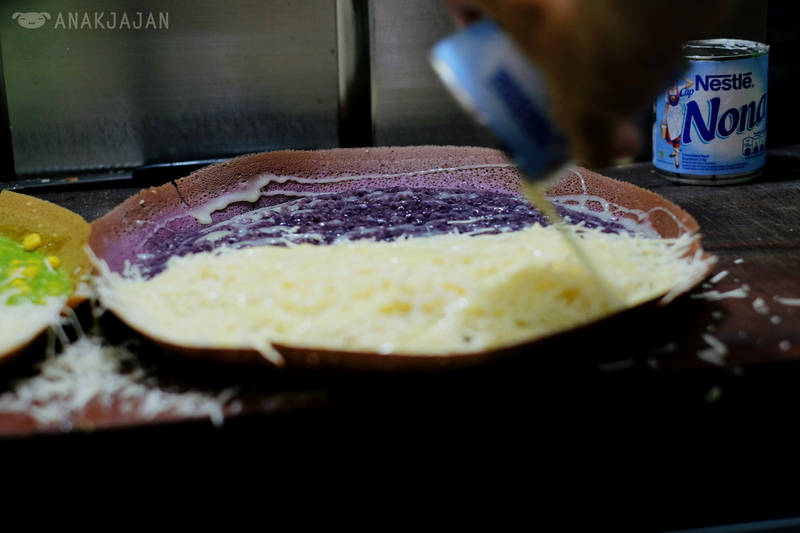 Besides the regular Martabak you can also order Tipis Kering, the thin crunchy version. The purple color batter came from Taro extract. I love the fact that they use butter instead of margarine and also they don’t add any additional sugar into the batter that’s why it tasted buttery and not as sweet as the usual martabak we had. 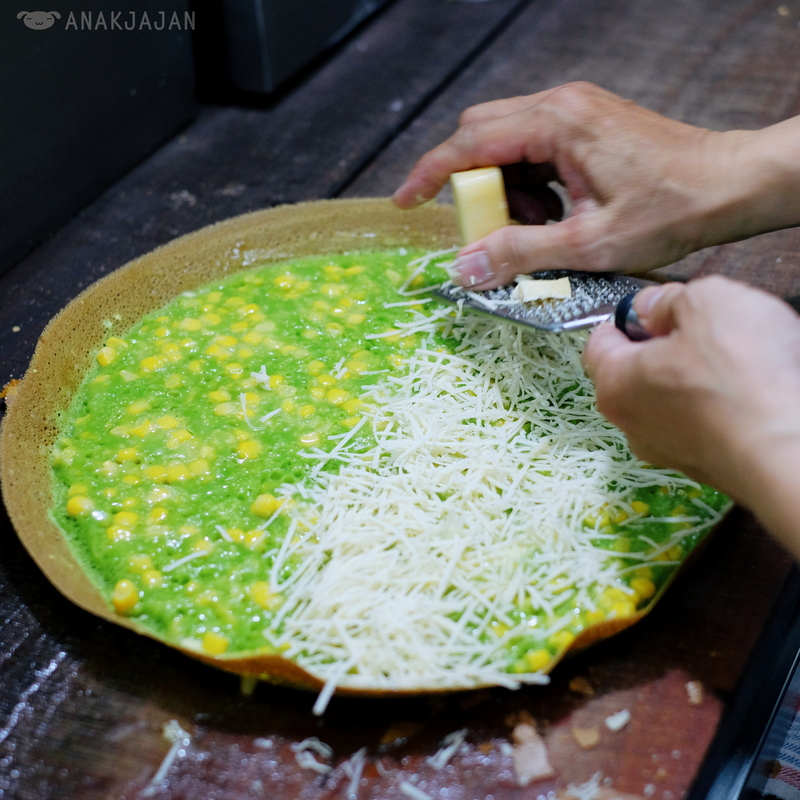 The martabak was not too heavy as well because it was not too thick and also not too greasy with just the right amount of butter added. This one was absolutely the champion and of course instagenic. 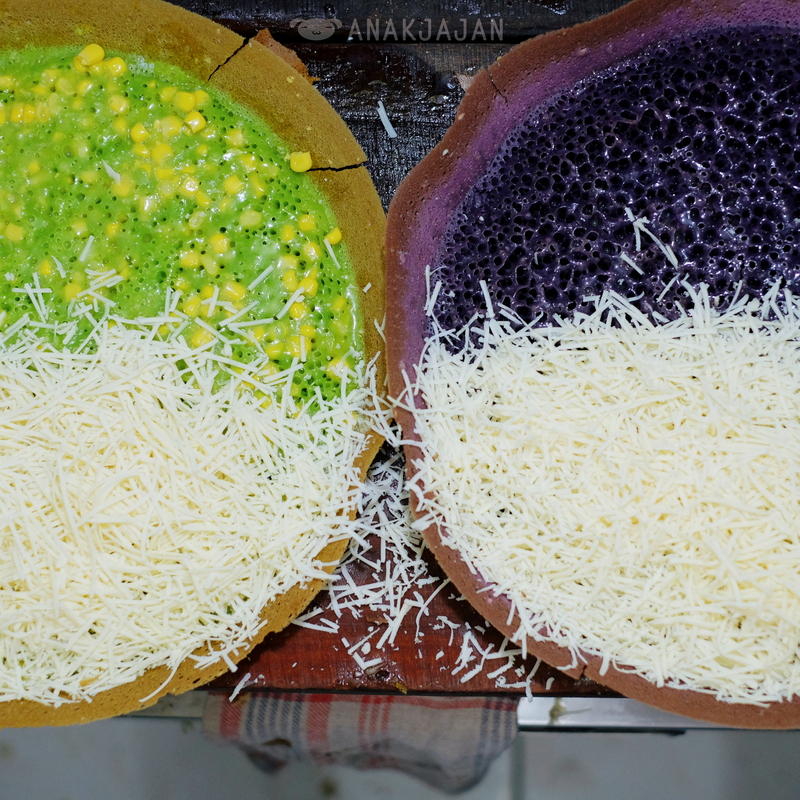 Green martabak batter with pandan extract and yellow juicy canned corn mixed into the batter then topped with grated cheese and condensed milk. 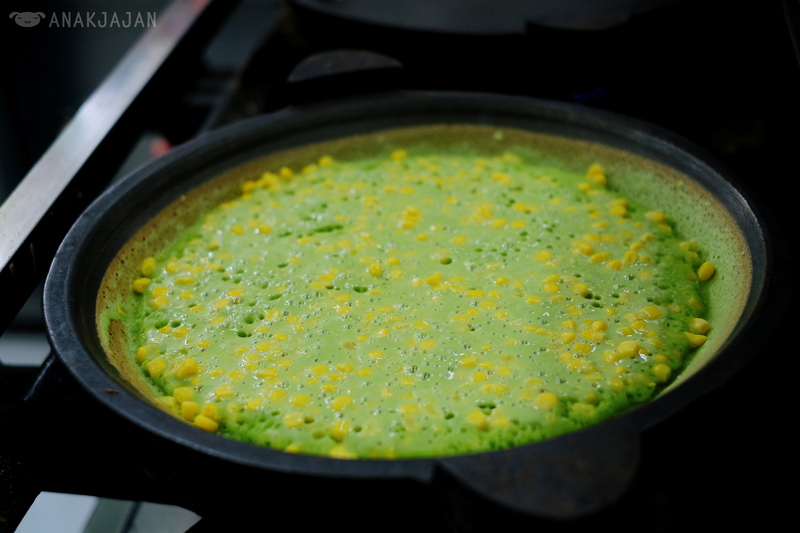 The pandan flavoring was super fragrant and it tasted even better when the sweetness and juiciness from corn burst into our mouth, heaven!! 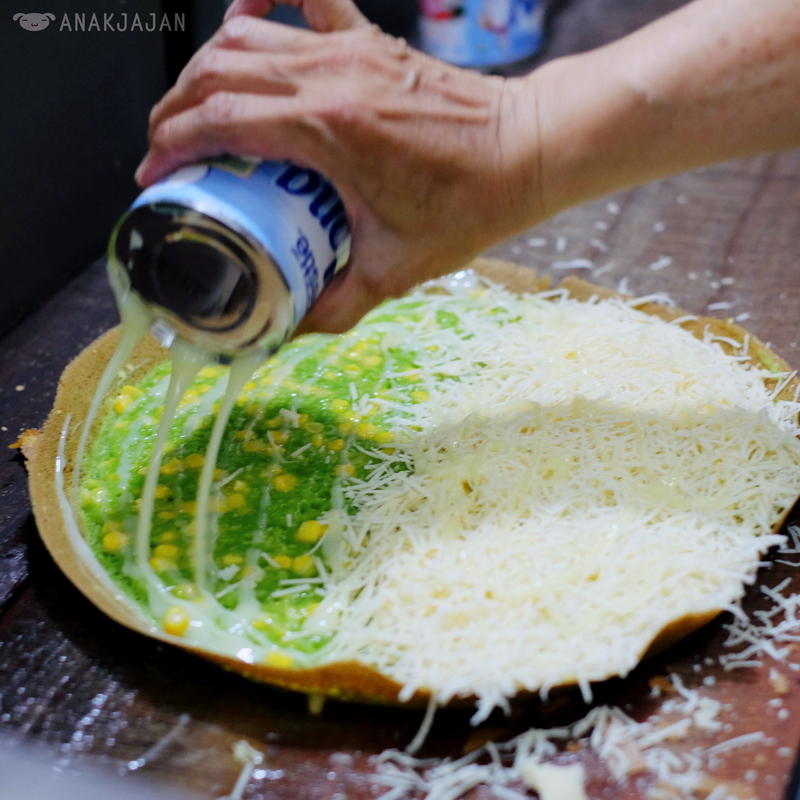 Instead of brownies or pisang molen, you should totally consider bringing this awesome Martabak Andir as souvenir for your relatives. What do you think?? Let’s Jajan!! I have been a loyal reader of your blog. I enjoyed reading every bit of your post as they are informational. The photos that you took are phenomenal, I’m sure both of you have been learning some techniques in order to take such beautiful photo. 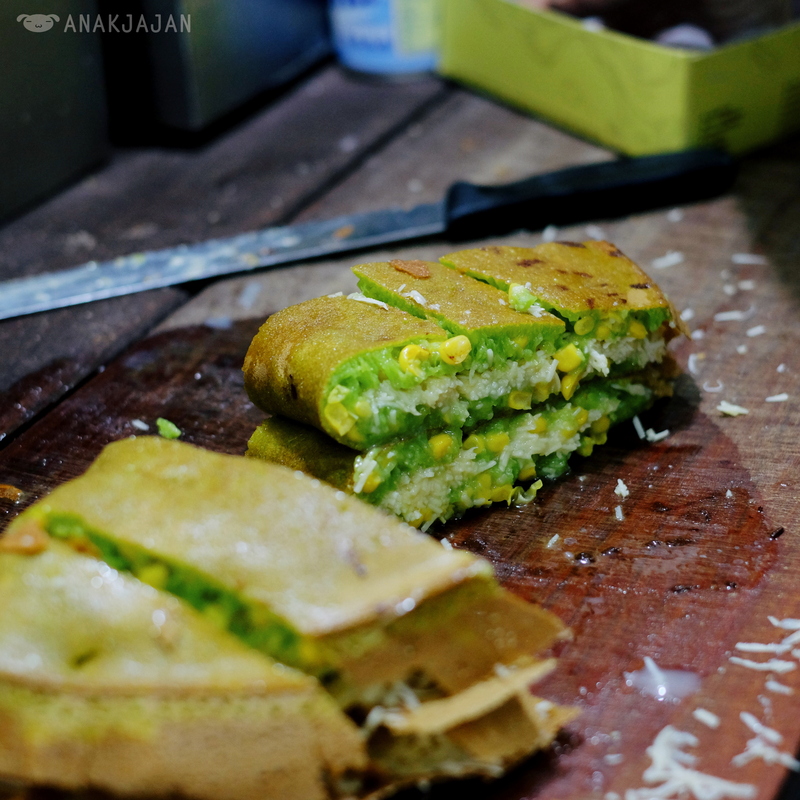 Even an Indonesian street food like Martabak looks good on your blog. I am a student who loves photography, especially food photography and currently still learning some techniques that will improve my photography skills. Perhaps, you could give us, readers some useful tips on how to take better food photos, such as which angle should we use when taking a picture of foods and what composition to consider in taking photos of food as the not every restaurant has a good lighting; some of them may be dim and some of them may be bright. 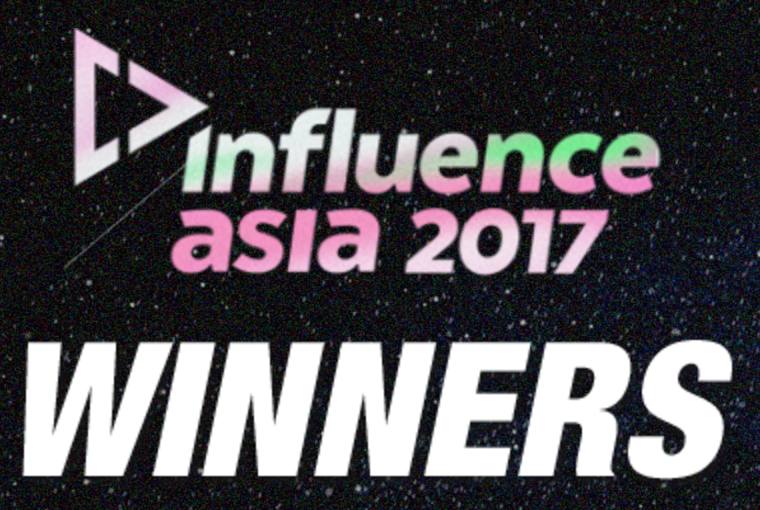 Thank you and keep becoming an inspiration to us! And last but not least, would you mind if I copy your link to my blog, as I want my readers overseas to recognize your blog as well.